San Antonio, TX – The Culinary Institute of America is excited to announce Arriba El Sur, a four-day festival celebrating the gastronomy and wines of Argentina and Chile from Wednesday, October 26 to Saturday, October 29. 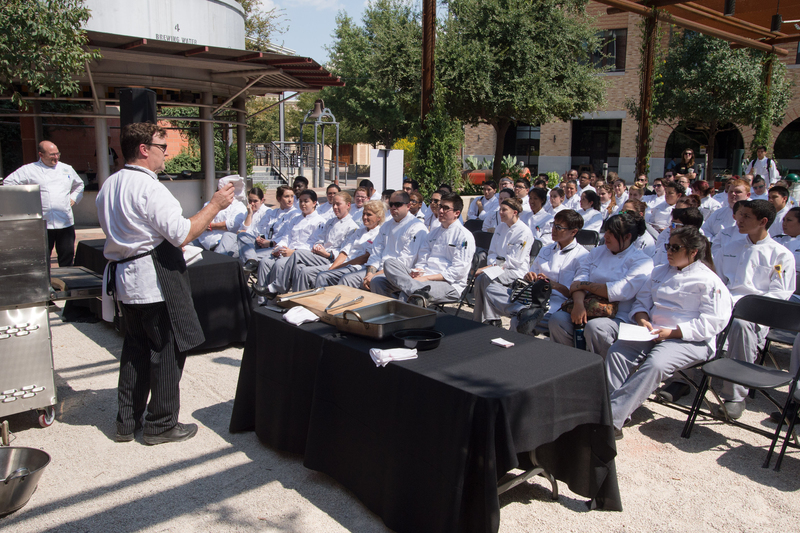 The second annual summit, which is expanding from three to four days this year, will feature a student day on Wednesday; professional days on Thursday and Friday; a special dinner with visiting chefs at Nao Latin Gastro Bar on Friday evening; and a day open to the public on Saturday with special Food Enthusiast programming. On Wednesday morning, the CIA will host 150 high school students from various schools in the San Antonio Independent School District, followed by an afternoon for the CIA San Antonio students. The day will be filled with demonstrations of the cuisine of Argentina and Chile and informative presentations on the gastronomy and culture of both countries. On Thursday and Friday, the professional portion of Arriba El Sur will focus on the culinary heritage and contributions of the southern region of South America known as “El Sur.” With an incredible collection of renowned chefs, restaurateurs, wine experts, prestigious sommeliers, entrepreneurs and industry leaders, attendees will enjoy an intensive educational experience focusing on this exciting region. Friday evening will conclude with a five-course, family-style dinner hosted at Nao Latin Gastro Bar featuring guest chefs from Argentina and Chile. The dinner is open to the public and costs $100 per person. In addition to professional programming, Arriba El Sur has also designed unique Food Enthusiast offerings specifically for that Saturday, October 29 as part of the celebration of the cuisine of Argentina and Chile. There will be four special classes including demos and cooking classes, and tickets can be purchased via the CIA website. CIA Professor Hinnerk von Bargen will also host free live fire demos on the plaza during the Pearl Farmers Market to showcase the street foods of Argentina and Chile. For more information about Arriba El Sur and to purchase tickets for hands-on cooking classes, chef demos and tastings, food and beverage tastings, and the dinner at Nao Latin Gastro Bar on Friday evening, please visit us online.